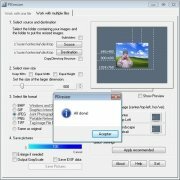 When we need to send or upload a large amount of photos to a website, it is a somewhat boring process to have to edit the size and change the format of each of the images that we need to use. 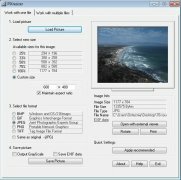 PIXresizer is a tool that will be of great help to resize and format images, whether one by one or all at the same time. 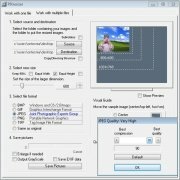 This application will allow us to change their size proportionally and maintaining the aspect ratio, as well as allowing us to change the dimensions manually. 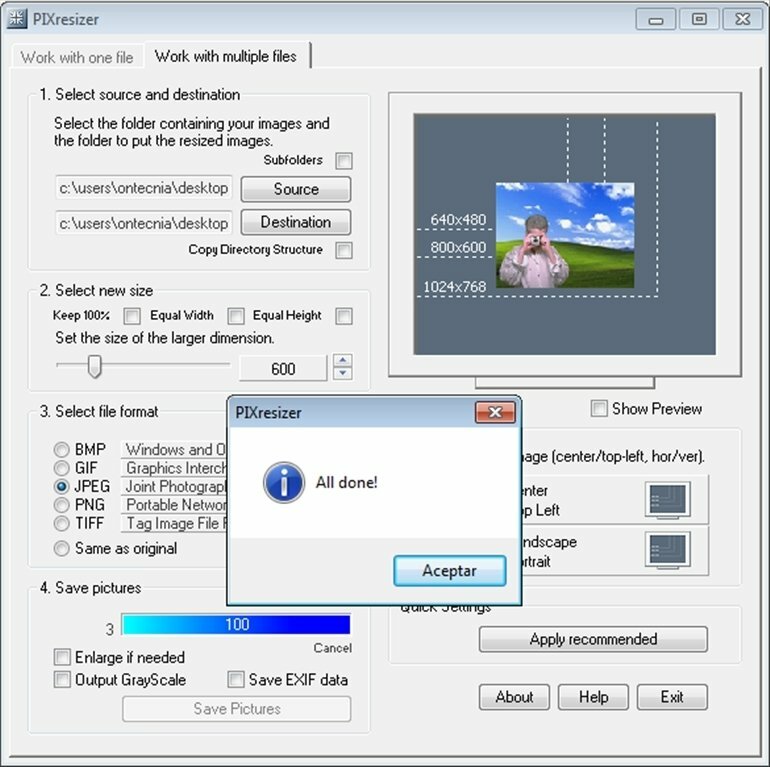 We can choose between BMP, GIF, JPEG, PNG, TIFF or JPG to change the format of our photos in such a way that they adapt to the tool or situation, as required. 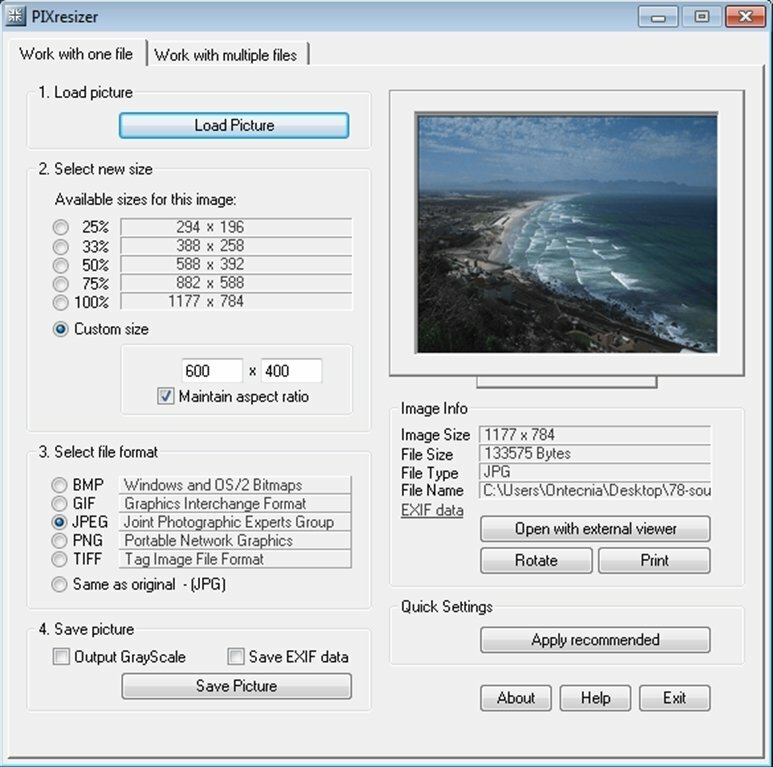 It is also possible to export the images to scales of grays, together with the EXIF information of each file or in an alternative folder to make sure that we don't modify the original images. 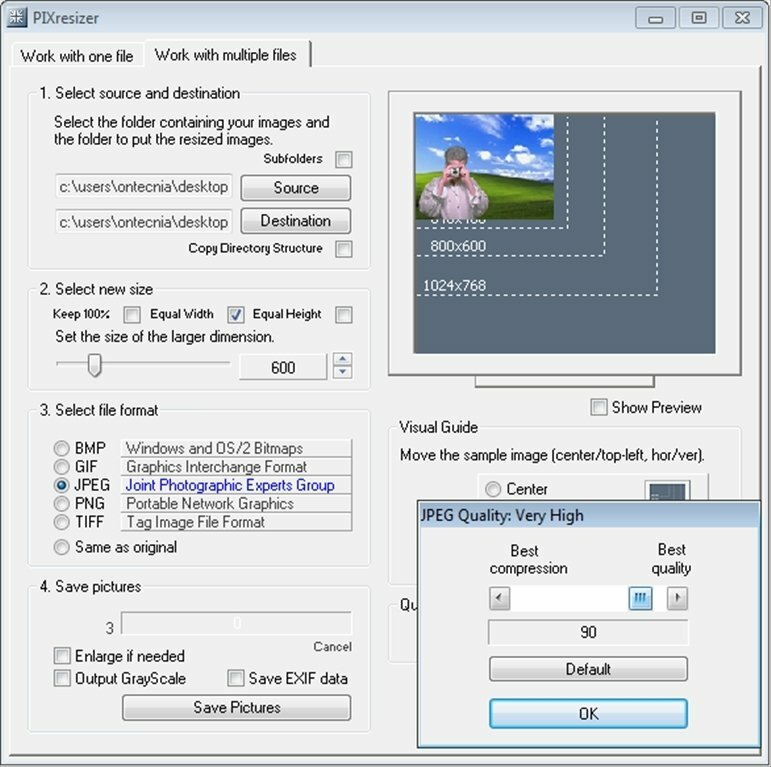 If you want a tool with which resizing all your image collection will be much easier, download PIXresizer.